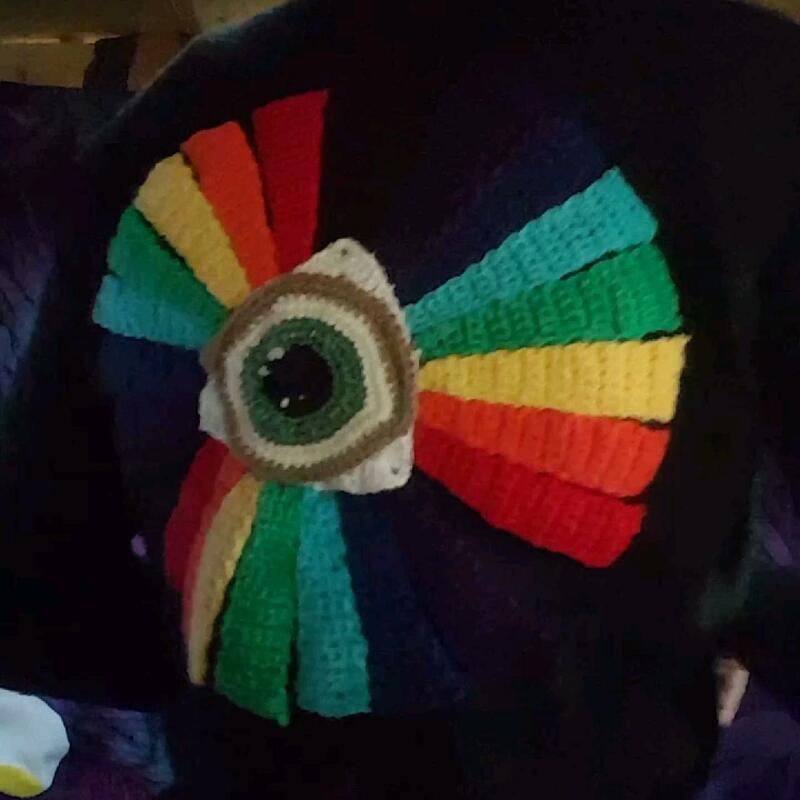 Black cardigan with a Third 👁 Eye-inspired bespoke crochet patch. Black buttons needed replacement in the past and are mismatched sizes, but all the same shade of black so it is hard to notice. No major tears, fades or pilling. Hand crocheted from my own pattern, the eye detail is hand stitched and as unique as any living eye!